Two weeks today we'll heading down to Lulworth Castle for this years Camp Bestival. We're so excited. I cannot wait. We've never been before, but everything I've read about it so far just makes me more and more eager to go. The dressing up theme this year is 'Circus'. After sending Milo off to school this morning dressed as a spider for his 'Ugly Bug Ball', I got to thinking about his costume for Camp Bestival. We've had a bit of a chat about it and I think at the moment he wants to be a clown, though there was some indecision over whether a lion tamer would be better. 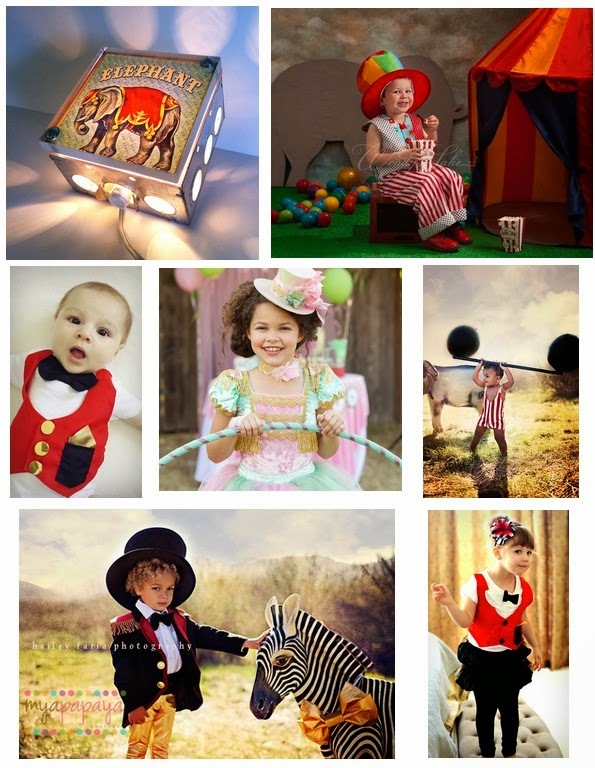 I'll probably make his costume, but I couldn't help taking a peek over on etsy at some of the fabulous circus themed items they had over there. Here are a few of my favourites.